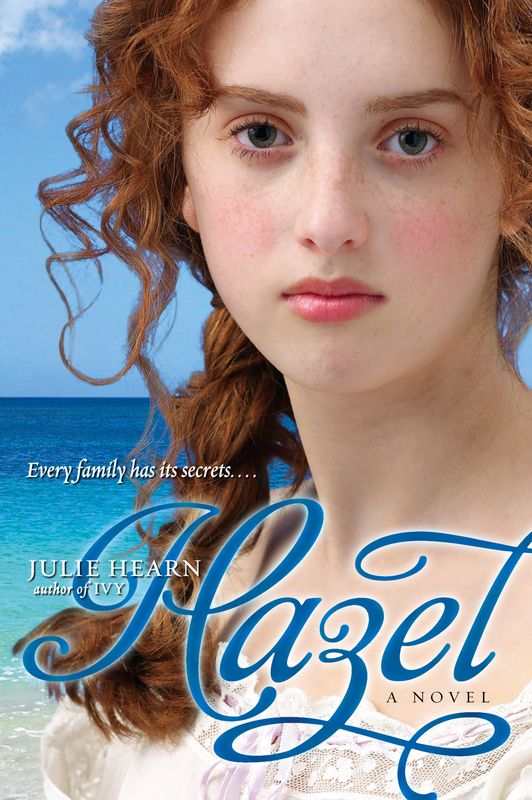 Every family has its secrets. . . .
Hazel Louise Mull-Dare has a good life, if a bit dull. Her adoring father grants her every wish, she attends a prestigious school for the Daughters of Gentlemen, and she receives no pressure to excel in anything whatsoever. But on the day of the Epsom Derby—June 4th, 1913—everything changes. A woman in a dark coat fatally steps in front of the king's horse, protesting the injustice of denying women the vote. Hazel is transfixed. And when her bold American friend, Gloria, convinces her to stage her own protest, Hazel gets a taste of rebellion. But her stunt leads to greater trouble than she could have ever imagined—Hazel is banished from London to her family’s sugar plantation in the Caribbean. There she is forced to confront the dark secrets of her family—secrets that have festered—and a shame that lingers on. Hazel Louise Mull-Dare, being very nearly thirteen years old, objected to anyone calling her a little girl. Under less shocking circumstances, she would have fixed the man on her right—the Cyril one—with the evil eye. She might even have told him, in her iciest tones, not to be so rude. But it would be insensitive, she knew, to make an issue out of her relative grown-upness when someone had just been trampled by a horse. And trampled so badly, by the look of it, that she probably wasn’t going to see the sun go down, never mind her own next birthday. Hazel continued to stare at the woman lying out on the turf like a big, broken doll. It was ghastly, all right, and had happened so fast. Too fast for her to make any sense of it until her pulse, and her thoughts, stopped racing. Serves her right was her eventual response, followed, a bit later, by Poor thing . Hazel had never seen a dead body before, or anyone’s blood but her own. It was . . . it was . . .
She raised herself up, on the tips of her new shoes, swaying with the effort to see. The man on her left caught hold of her arm. Had the Cyril person been so presumptuous, Hazel would have stomped on his toes. Hard. But the man on her left was her father, so it was all right. Hazel shook her head and settled back on her heels, only faintly ashamed of her desire to know precisely where the woman had been kicked, and if there were any bits of brain on her clothes. Her own wits were recovering nicely—enough to recall, in some detail, precisely what had happened: She had nipped under the rail, a thin woman in a dark coat, which had flapped as she strode out onto the course. Then the horses had come—thundering round the curve one . . . two . . . three . . . And the woman in the coat could have got out of their way; could have ducked back under the rail, no harm done. But no. As calm as you like, she had faced what was coming, one arm raised as if the thoroughbred galloping straight at her was a bus that would stop, or a donkey plodding wearily down a beach. And in that tiny space of time—shorter than it would take to clear a throat, pick up a cup, or stroke a cat from head to tail—Hazel had known for certain that this woman was in total command of what she was doing. That, for her, this was not a sudden act of madness but a moment of perfect glory. Her own fault, then. Definitely her own stupid fault. People behind began pushing and jostling, pressing Hazel’s tummy up against the rail. Then the crush eased as some of the people pushed all the way forward and ran, shouting, onto the course. None of them bothered to look right before they ran, or to listen out for the drumming of hooves. Stupid twits, Hazel thought. Serve them right if a big old straggler came charging round that corner RIGHT NOW. He was talking about the jockey, Hazel realized. The one whose horse had reared up and sent the woman flying with one brutal clobber of its hooves. The jockey had fallen too, but more neatly than the woman, as if he had rehearsed it. Hazel’s father said he didn’t know. He squeezed Hazel’s arm, in case the thought of a horse being shot was Too Much for Her Delicate Senses. Hazel’s father said it had been the king’s horse, Anmer, that had struck the woman and thrown its rider to the ground. He sounded mournful, as if Anmer had been human, and a personal friend. They were talking over Hazel’s hat. It was a very pretty hat, with pink roses on the brim, but having it leaned over was making Hazel feel more like a garden hedge than a young lady. She stood up on tiptoe again, partly to make herself less hedgelike, but mostly to keep up with what was going on. People were swarming all over the course. Swarming and yelling and hiding the woman’s body from view. Most of them looked, to Hazel, like ordinary spectators—from the lower classes, most of them, and with no clear idea at all of what to do. Then two men appeared, carrying a stretcher. Just the one stretcher, though, for just the one victim. Where’s hers? Hazel wondered, as the injured jockey was borne away. The crowd around the woman had shifted, to let the stretcher bearers through. They re-formed immediately, into a gawping huddle, but not before Hazel had noticed that the only people attending to the woman’s injuries were policemen. “Hello . . . what’s happening now?” said one of the voices above her hat. And there, no more than a couple of yards away, was a man going berserk. “Are you satisfied?” he was bellowing, right into the face of a woman standing next to him. “Are you?” And then he raised what looked like a truncheon and began striking the woman’s shoulders . . . her arms . . . her neck . . . the top of her head. . . .
Hazel felt a thrill in her stomach, which went away once she realized that the weapon being used was only a rolled-up newspaper. Such fury, though! The man’s face was puce with it, and he was spitting for king and country. Cyril’s lady friend squeaked, just above Hazel’s ear. She had opened her eyes, finally, but was clutching her Cyril as if the whole world had gone barmy and she herself might be trampled on, hit, or called a nasty name any moment now. Hazel waited, with growing interest, for someone to confront the furious man and make him stop. But nobody moved a muscle, unless it was to get a better view. The woman being attacked seemed almost resigned to it. Perhaps, Hazel thought, she was the man’s wife, although that didn’t really excuse him for lashing out at her in a public place, particularly when everyone watching had witnessed enough horror for one day. And what was the thing he had called her? She was sure she had heard it correctly, but it wasn’t a word she recognized. Not as an insult, anyway. The woman raised her elbows, to protect her eyes. And although being swiped with a rolled-up newspaper was nowhere near as dangerous as being kicked by a fastmoving animal, it seemed to Hazel the more uncomfortable thing for people to have to watch—perhaps because it was lasting longer and because this man, unlike the king’s horse, could have controlled himself. The woman’s hair was all messed up, whacked loose from its pins by a flurry of blows. Her face was chalky white but oddly defiant as she scanned the faces of those closest to her in the crowd. For a split second she looked straight at Hazel. And only then did she falter, her face flushing and her shoulders sagging as she admitted some private defeat and bent to pick up—what? Hazel couldn’t see. But whatever it was got bundled away under the woman’s coat before she began moving—scurrying—away through the crowd with her head down and pins poking, like thorns, through the disorder of her hair. “Good riddance,” Hazel’s father muttered. Hazel looked up so fast that her hat slid off her head, tightening the ribbon at her throat. It wasn’t like her father to be churlish, particularly toward women. It would have been more in his nature, surely, to have leapt to this one’s defense. The Cyril person and his lady friend were dithering over whether to get the next train back to London or wait for further announcements about the race. “D’you think they’ll write the whole thing off?” Cyril wondered. “Out of respect?” It wasn’t clear to Hazel whether he meant for the fallen horse, the injured jockey, or the trampled woman. Hazel’s father said he very much doubted it. He was looking glum, and so was Cyril, which Hazel took for a sure sign that the horses they’d backed had run about as fast and as well as clowns in baggy trousers. By Old Girl he meant their motor car—his pride and joy. Most people assumed he was talking about his wife. Only Hazel shared his unspoken awareness that “Old Girl,” with its clear intimations of something homely and reliable, in no way described her mother. She looked back at the course. The trampled woman had been taken away, and there was nothing more to see. The look she got in return could have wilted a flower. The Old Girl was full of hot air and smelled of baking leather. For a while, as he followed the signs out of Epsom, Hazel’s father was very quiet. “Daddy, was it the king’s horse you had your money on?” Hazel asked him. “Did you change your mind at the last minute?” He was always doing that—getting a sudden hunch, just before the race began, and betting accordingly. Sometimes he told Hazel he’d done it and sometimes he didn’t. Sometimes he cheered the right horse on, and sometimes he yelled for the one he’d changed his mind about, depending which one was in the lead. It meant that Hazel was never quite sure if they were on a winning streak or not. Most of the time, she couldn’t help thinking, they weren’t. He smiled then, but winced, too, as if her words—which were originally his—had hurt as well as cheered him. Hazel was waving majestically at two small boys standing up ahead on a garden gate. Her father parped the horn, to amuse the small boys as the Old Girl slid past in a cloud of peppery dust. Hazel put the sweet in her mouth. She knew full well, and wanted to say, that reports of people getting trampled and attacked at the Epsom Derby would barely register with her mother—although she would certainly be upset about the injured horse. But she wasn’t supposed to talk while sucking a sweet, in case it fell down her gullet and choked her to death. And it would be bad manners, she knew, to crunch. By the time the sweet was finished, her father was humming “The Bees-Wax Rag” and parping the horn to the beat. Dum dah, dum dah, dummitty dum de dum dah PARP! Dum PARP dah, dum PARP dah . . . The horn was meant to sound like a trumpet and Hazel was supposed to giggle. She was in no mood, though, to play that old game, and her father’s own heart wasn’t in it either, she could tell. “I hope not,” Hazel fretted, for she hated lies—even little ones—and dreaded the thought of being put on the spot. Her father sighed. Then he took a hand off the Old Girl’s wheel and patted Hazel’s arm. Hazel looked out the window, at hedges and trees, and at the smaller roads, winding off and away—there and gone, there and gone, there and gone. The Old Girl was picking up speed now that they were through the little villages and onto the London road. If someone were to step out in front of them right now, it would be a terrible thing. A dreadful, messy thing. Would that person bounce off the bonnet, Hazel wondered, or go under the wheels and end up like pastry—rolled flat? Alarmed by the harshness of her father’s tone, Hazel swivelled round to look at him. His profile was as stern as a Roman emperor’s, and both his hands were clenched tight around the steering wheel. He went back to humming his dance tune, only less merrily and without parping the horn. Hazel closed her eyes. The mint she hadn’t wanted rasped against the inside of her mouth as she bullied it with her tongue and resisted the urge to crunch. She was right about the trampled woman. She knew she was. Not about her being dead, necessarily, but about it having been deliberate. Willful. In her mind she saw, again, the kick and the fall. The woman had resembled an ungainly bird, flying through the air like that with her black coat billowing. A stoned crow. A smashed rook. A blackbird hit by a peashooter. Just like all of those, except for the sudden flash of colors—green, mauve, and white—beneath the dark coat. It was odd, Hazel thought, that the woman had worn a heavy coat on such a beautiful summer day. Perhaps she had been ill with influenza and feeling shivery. Perhaps she had believed the afternoon would turn chilly. And yet . . . the other woman—the one who’d been bashed with a newspaper and called a . . . what was it again?— she had been wearing a coat too. A big winter coat, all buttoned up. And whatever it was she had retrieved from the ground had been concealed, deliberately, beneath it. There is more to know, Hazel told herself, swallowing the sucked-small sweet. Much more. And as her father revved the Old Girl’s engine, approaching the homestretch, she determined to find out what. Even if it did prove Too Much for Her Delicate Senses. The desperate act of a woman who rushed from the rails onto the course as the horses swept round Tattenham Corner, apparently from some mad notion that she could spoil the race, will impress the general public even more, perhaps, than the disqualification of the winner. She did not interfere with the race, but she very nearly killed a jockey as well as herself, and she brought down a valuable horse. She seems to have run right in front of Anmer, which Herbert Jones was riding for the king. It was impossible to avoid her . . .
Hazel lowered the newspaper and held her breath. She had never been forbidden, exactly, from entering her father’s study, or from reading the Times . But she knew it would look bad if she was caught. It was Florence, sweeping the stairs. Florence was all right, and probably wouldn’t tell. Only she might mention it to Mrs. Sawyer, the housekeeper, who was a bitter old fright and probably would. Some of the spectators close to the woman supposed that she was under the impression that the horses had all gone by and was merely attempting to cross the course. The evidence, however, is strong that her action was deliberate and that it was planned and executed in the supposed interests of the suffragist movement. Whether she intended to commit suicide, or was simply reckless, is hard to surmise. . . .
She is said to be a person well known in the suffragist movement, to have had a card of a suffragist association upon her, and to have had the so-called “Suffragist Colors” tied round her waist. . . .
Annoyed, Hazel folded her father’s copy of the Times and put it back on his desk. Alive, then. The trampled woman was still alive. And it had been deliberate. She’d been right about that. “I needed something,” she said, her face turning very pink. It wasn’t a lie, for she had needed something—information. All the same, it was agony to say it. She expected Florence to go. To say that she would come back later. It was rotten luck to have been caught red-handed but inevitable, really, given the number of servants in the house and the way they constantly milled around with their dustpans and flyswatters and the stuff they used to clean the carpets when one of the dogs had a mishap. Florence, however, showed no signs of leaving. Instead she put down her dustpan and began flicking a feather duster at things. “No school today, miss?” she asked brightly. It wasn’t the Done Thing to mention bodily functions—particularly those of a feminine nature—to anyone . But Hazel didn’t care, for she had only told the truth. Serves you right for asking, she thought, as Florence flicked faster to cover her embarrassment. And really, it was ridiculous—wasn’t it?—that feminine things were never to be discussed, not even discreetly between two grown girls, when there were dogs leaving evidence of their own bodily functions on every stair and landing. Florence began dusting a framed photograph of Hazel’s mother. It was already clean enough to glint, but Florence dusted it anyway, her eyes fixed devotedly on the face behind the glass. Hazel was familiar with this look of adoration. It softened her father’s features every night at dinner. And she had seen it all her life in the rheumy eyes of assorted greyhounds, spaniels, and mongrels, whenever they heard a latch click and her mother’s voice calling out their names. It was a peculiar look, Hazel decided. Hungry, almost. She could forgive it in her father, and dumb animals couldn’t help themselves, but this girl, presumably, had a mother of her own to dote on, so she should leave other people’s alone. Florence stopped what she was doing and stared at Hazel in surprise. Not devotion. Just surprise. Hazel shrugged. Maybe she did. Maybe she didn’t. She knew what the vote was, though, for her father had one, which he had used a few years back to try and keep Mr. Asquith from becoming the prime minister and sending the country to Rack and Ruin. Florence lifted an ebony statuette and gave the desk beneath it a cursory tickle with the duster. “Careful,” said Hazel automatically, for the black statuette, of an ancient goddess called Isis, was both lovely and rare, and one of her father’s most treasured possessions. She sniffed derisively, dusted a brass letter rack, and looked around for something else to clean. Hazel watched, uncertain how to proceed with this interesting conversation. It was doubtful that Florence had ever been to school. Almost certainly she wouldn’t be able to read the Times. And yet she clearly knew plenty—far more than Hazel, anyway—about the ways of the world. What about my mother? Hazel wondered, although she knew well enough that her mother wouldn’t really care if a servant broke a few windows on her afternoons off, so long as she didn’t kick the animals or turn pale at the sight of their excrement. Florence was cleaning one of the glass-fronted bookcases, standing on tiptoe to sweep the feather duster in wide, ponderous arcs. To Hazel, she looked like a hefty fairy waving a wand. Clap hands if you believe in fairies! Clap hands, children. Everyone clap your hands together, or poor Tinkerbell will die! Hazel had been deliberately sitting on her hands at performances of Peter Pan since she was five years old, so there was nothing whimsical about her image of Florence as a domestic sprite. And instead of smiling to herself she scowled, for there were dictionaries in that bookcase she had planned to consult after finishing the article in the Times . Was it her imagination, or did Florence’s spine stiffen? Certainly the feather duster began moving ten times faster, swishing across the bookcase the way the Old Girl’s wipers did whenever rain came bucketing down. Quickly. Urgently. Pushing everything away. Hazel looked down at her feet, in their soft white shoes. They were very small feet, taking up the tiniest fraction of space on the vast expanse of carpet. From her feet she looked at the Times , which Florence had refolded, and then up at the row of leather-bound dictionaries locked away behind tickled-clean glass. There is more to know. Much more. She had nothing whatsoever to be getting on with. Oh, there was a piano to be played, a handkerchief to be embroidered, and a book about a phoenix and a carpet to start reading. There was a rocking horse she could thrash, while pretending to win the Derby, or a collection of seashells to sort through. But none of those things interested her anywhere near as much as staying right here in her father’s study, learning all that the Times and the dictionaries could tell her about the doolally women who wanted the vote. Pausing in the doorway, Hazel turned. “Whatever it was that you needed,” said Florence. “I will come back later,” she snapped. Up the stairs she went, watching carefully where she trod. Up the stairs to her pink and white bedroom, with its view across Kensington’s rooftops blocked, for the time being, by the leaves of a giant magnolia. One of the maids had been in, to straighten and tidy. The rose-colored bedspread was stretched, tight as skin, over her mattress. A window had been opened, but only a notch, and her silver-backed hairbrush retrieved from a drawer and displayed, like a hint, dead center on the dressing table. Over in one corner stood a dollhouse, its brick-painted front shut tight and fastened with a big hook and eye. It was a long time since Hazel had played with it; so long that she could no longer remember whether the mother doll was in bed with a headache or down in the kitchen frying miniature eggs in a tiny pan. The father doll, she knew, would be sitting alone in the drawing room. And the little girl doll was hiding in a cupboard. It was the same with the larger dolls. And the teddy bears. And the wooden animals in the ark. She remembered all their names—even the ark’s two ladybirds, though barely bigger than specks, had been given names once upon a time—but the idea of playing with them no longer appealed. And when she thought about them, or caught sight of some of them, propped awkwardly on a shelf, she felt irritated and strangely sad. Only the rocking horse attracted her still, because if she closed her eyes and held tight to the reins, it was almost like riding a real one. And she could ride it, and ride it, and fancy herself galloping far away . . . to the desert sands of Arabia, or a tropical jungle. Anywhere, really, where she wouldn’t have to eat horrendous things like rice pudding and boiled greens, or embroider stupid bluebirds on ridiculous handkerchiefs, which no one ever blew their noses on because of the bumpy stitches. The rocking horse was called Spearmint. There it was— SPEARMINT—branded on his neck in black and gold. He’d been named by Hazel’s father after the winner of the 1906 Epsom Derby. Hazel would have preferred something else—a name that didn’t make her think of sweets—but hadn’t been given the choice. It was warm in the room, despite the opened window. And the light shining in through the magnolia leaves had a bilious tinge. What with the roses on her wallpaper—blowsy pink things, as big as babies’ faces—and the knots of silk flowers decorating the headboard of her bed, it was like being in a conservatory. Or the hothouse at Kew Gardens. Now there was a good idea for a game. Her winter coat was in the wardrobe, stinking of mothballs. It wasn’t black, nor did it reach her ankles, but she put it on all the same and buttoned it up to her neck. How odd it felt to be wearing such a thing on an otherwise ordinary morning in June. Odd and somehow . . . disobedient. Looking at herself in her full-length mirror, Hazel experienced a rush of warmth that had nothing to do with the mugginess of the day or the weight of her coat. Is this how they feel? she wondered. Her hair looked wrong, though. She couldn’t help the color, any more than she could help the freckles that went with it, but the long looseness of it was childish. She needed hairpins. Her mother would have some, but she didn’t want to be caught, twice in one day, rummaging among her parents’ things. Lifting the hair in both hands, Hazel twisted it into a loose bun and tied it with a ribbon—a dark ribbon, nothing frivolous. That was better, although it still needed a few pins to keep the bun in place and complete the—aha! Spillikins. There was a box of ivory spillikins among the games on her toy shelf. They would do the job—for now. And her silk scarf. The green one. Where was it? Shame she didn’t have a mauve one, or a white one either, but she could always make do with hair ribbons, to get the colors right. Dressing up had never been so much fun. Downstairs a latch clicked, and the dogs began to bark. Luncheon would be served soon, on the strike of midday, and it would be Cause for Concern, Hazel knew, were she to appear for it dressed for frost and with spillikins in her hair. She had five minutes, at the most, to play her game. Seven, perhaps eight, before Florence or one of the other maids came tapping at her door. Hazel couldn’t remember whose idea it had been to twine artificial flowers through the rungs of her bedstead, to make the headboard look like a garden trellis. Not hers, certainly. And not Mrs. Sawyer’s, or Florence’s, either, for they called such arrangements dust traps. Anyway, she had never cared for them. Snip went her nail scissors—such a little sound, but so satisfying. Snip, snip, snip. How must that suffragist have felt—the one Florence had spoken of—as she destroyed all those valuable orchids at Kew Gardens? Would she have winced a tiny bit, or simply felt triumphant? And although there were no orchids tied to her headboard, there were enough artificial roses and violets and pansies, and enough stupid white things that might or might not have been daisies, to make lopping their heads off a most satisfying act. Snip . . . snip . . . There would be salad for lunch, as the day was so warm. A salad of greens. And fresh fruit for dessert, with ice cream if she was lucky and blancmange if she was not. What would a suffragist eat for lunch? A banquet . . . a sandwich . . . or nothing at all. The trampled woman was still alive. She had done a doolally thing, rushing out like that in front of the king’s horse, but she had done it bravely, and knowingly, so that more people would understand about the vote. About how important it was for women to have it as well as men. Hazel had never really thought about the vote before. Certainly she hadn’t consciously suffered from not having one of her own to look forward to. All she knew—and she knew it right to her bones—was that it must be amazing to feel so strongly, so . . . passionately about a thing that you would risk your very life for it. Later—after lunch—she would make believe that Spearmint was running in the Derby and that she was a bold suffragist making a grab for his bridle. Downstairs the dogs had settled, in a devoted heap, at their mistress’s feet. The maid who brought the salad in avoided their tails with practised ease as she set down her tray and straightened up. “Should I let Miss Hazel know, ma’am, that luncheon is served?” she asked. Dottie the too-hairy mongrel understood not a word of this but wagged her tail anyway, relieved to be taking a much-needed break from the attentions of two frisky males. “Votes for women!” whispered Hazel, slicing through the stem of a perfect white rose. 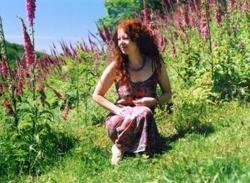 Julie Hearn was born in Abingdon, England, near Oxford, and has been writing all her life. After studying to be a journalist, she worked in Australia and lived in Spain, before returning to England, where she worked as a features editor and columnist. She is now a full-time writer. Her first book published in the United States was The Minister's Daughter.